Soon Indian Railways will shift from manual filing system to E-office for its day-to-day activities to bring transparency and efficiency in functioning. RailTel, a Miniratna PSU under Ministry of Railways, has taken up the work of implementing E-Office system for Indian Railways. E-Office project is a Mission Mode Project (MMP) under the National e-Governance Program of the Government of India. The project aims to usher in more efficient, effective and transparent inter-government and intra-government transactions and processes. A Memorandum of Understanding in this regard has been signed between Sh. Sunil Gupta, Executive Director/Railway Board and Shaminder Singh, Executive Director/RailTel in the presence of V.K. Yadav, Chairman/Railway Board, N. Kashinath, DG/S&T, Railway Board, Sudheer Kumar, Principal Executive Director/ Transformation, Railway Board, Puneet Chawla, CMD/RailTel and other senior officials of Railway Board and RailTel. Indian Railways is one of the largest employers of the country and its offices cover almost every part of India. Indian Railways till date is burgeoned with manual ways to handle office documents. This not only makes the process slow but consumes more energy on its workforce. To change the scenario and bring the digital culture in Railways the implementation of e- Office has started. The aim of E-Office implementation is to provide reliable, efficient, and effective way to handle office files & documents. E-Office is a cloud enabled software that is deployed/hosted from RailTel Tier III certified data centre. It is based on Central Secretariat Manual of e-Office Procedure (CSMeOP). This is a giant leap forward to digitize and achieve greater efficiency & productivity for the Indian Railways. The product is built as single reusable system by bringing together independent functions and systems under a single framework to enhance transparency, increase accountability and transform the government work culture and ethics. The E-Office implementation will first be taken up at the South-Central Railway zonal head quarter along with Guntur division by Mar-2019. The work of implementation in the entire south- central railway would be completed by June 19 and other Zonal headquarters and one division in each zone will be completed by Dec-19. RailTel has already completed the soft roll out of E-office in a record time of one month in the Guntur Division of Indian Railways. 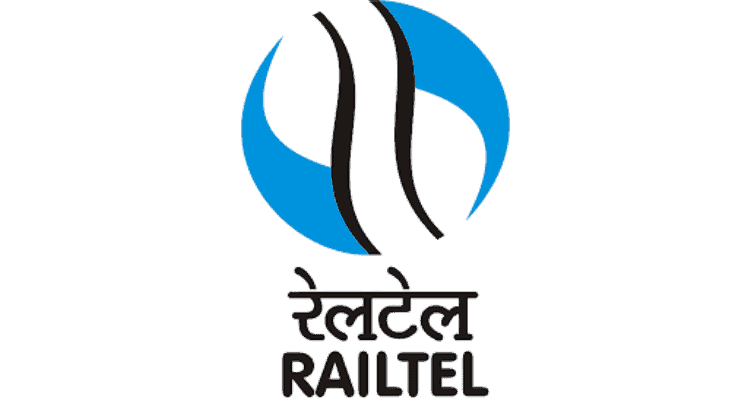 RailTel took the initiative to build access from ground up to enable unparalleled e-Office infrastructure once the project was assigned by Railway Board (Transformation cell). Currently 4 modules (File Management System (eFile), Knowledge Management System (KMS) Collaboration & Messaging Services (CAMS) & Personnel Information Management System (PIMS) ) will be the part of the e-office system being implemented. The benefits will be visible once the system is fully put to use and manual file system is stopped. It will result in a delightful experience for the end-user, eOffice will be a milestone in Digitization of Indian Railways. It will continue to be tool to foster improved reliability, efficiency and productivity. It will bring benefit to millions of employees of Indian Railways. E-office promises enhanced transparency, increased accountability, data security and integrity, and promotes innovation by releasing staff energy and time from unproductive process & procedures. E-Office fosters a paper-less culture which will not only save operational cost but also promote a green way of working. Indian Railways to migrate to E-office system at the earliest 0 out of 5 based on 0 ratings. 0 user reviews.